Here is MSX125 preparation for russian winter. We made studded OEM tires with screws, removed all excess parts and changed oil. 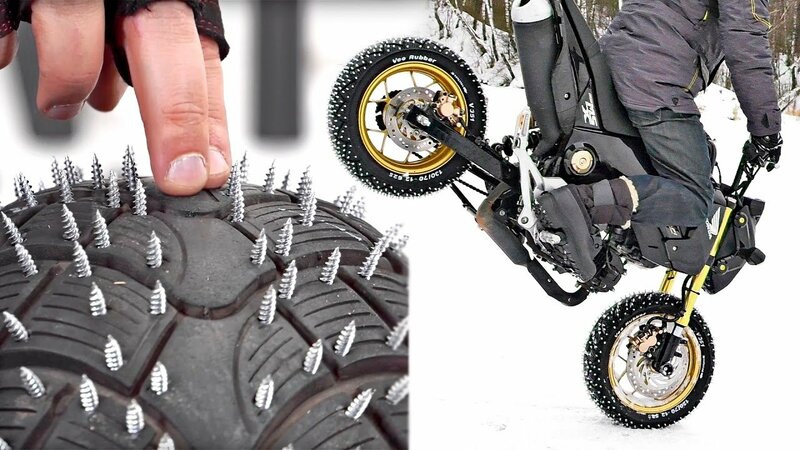 Shown method is the best for such bike - it allows to ride fast, it's good for conering and stunts on the ice and ride on the snow. Such spikes are selfcleaning, has good grip and very reliable.